I am a Guggenheim Fellow (2019), an ACM Fellow (2018) (the youngest in the class of 2018 fellows) and the Jack and Rita G. Minker Professor of Computer Science Department at the University of Maryland at College Park. I am also affiliated Professor with Robert H. Smith School of Business, University of Maryland. In addition, I hold a Research Affiliate position in MIT Computer Science and Artificial Intelligence Laboratory (CSAIL). I am also a Permanent Member of Center for Discrete Mathematics and Theoretical Computer Science (DIMACS) at Rutgers. My research is supported in part by NSF CAREER Award, ONR Young Investigator Award, Google Faculty Research Award (twice), University of Maryland Research and Scholarship Award (RASA), AT&T Research Labs, and a few other DARPA and AFOSR grants. I also thank European Association for Theoretical Computer Science for EATCS Nerode Prize, 2015 (awarded for our outstanding JACM paper on our Bidimensionality Theory, which was the topic of my Ph.D. thesis; see below for more info). I was a Visiting Research Scientist at Google AI- Research, New York City, in year 2017. I was also a Visiting Scientist in the Simons Institute for the Theory of Computing at University of California, Berkeley, in Fall 2016, Spring 2018, and Fall 2018. Before joining UMD, I was a Senior Researcher in the Algorithms and Theoretical Computer Science group at AT&T Labs - Research. Before joining to AT&T Research Labs, I was a one-year Postdoctoral Fellow in the School of Computer Science at Carnegie Mellon University (with ALADDIN project) and a one-year Postdoctoral Associate in MIT Computer Science and Artificial Intelligence Laboratory (CSAIL) from which I also earned my Ph.D. under supervision of Professor Erik D. Demaine and Professor Tom Leighton (Sep. 2001- May 2005). I got my M.Sc. from the Computer Science Department of the University of Waterloo (Sep. 2000- Sep. 2001) and my B.Sc. from the Computer Engineering Department of Sharif University of Technology (Sep 1997-Sep 2000). During my doctoral studies, I also worked at Microsoft Research Theory group and Department of Mathematical Sciences at the IBM T.J. Watson Research Center. Introduction to Computational Game Theory, undergraduate course at the University of Maryland in Spring 2019. Introduction to Algorithms, undergraduate course at the University of Maryland in Spring 2019. Algorithmic Lower Bounds: Fun with Hardness Proofs, graduate course at the University of Maryland in Spring 2019. Introduction to Computational Game Theory, undergraduate course at the University of Maryland in Fall 2017. Introduction to Algorithms, undergraduate course at the University of Maryland in Fall 2017. Network Design Foundation, graduate course at the University of Maryland in Fall 2015. Introduction to Computational Game Theory, undergraduate course at the University of Maryland in Spring 2015. Algorithmic Lower Bounds: Fun with Hardness Proofs, graduate course at the University of Maryland in Fall 2014. Algorithmic Game Theory, graduate course at the University of Maryland in Spring 2014. Introduction to Computational Game Theory, undergraduate course at the University of Maryland in Fall 2013. Introduction to Algorithms, undergraduate course at the University of Maryland in Spring 2012. Network Design Foundation, graduate course at the University of Maryland in Fall 2011. Introduction to Algorithms, undergraduate course at the University of Maryland in Spring 2011. Algorithmic Game Theory, graduate course at the University of Maryland in Fall 2010. Advanced Algorithms: Topics in Game Theory, graduate course at Rutgers University in Spring 2009. Network Design and Game Theory, graduate course at Rutgers University in Spring 2008. Ph.D. Thesis: The bidimensionality theory and its algorithmic applications. Massachusetts Institute of Technology, Cambridge, MA, U.S.A, May 2005. FOCS 2013 Workshop on Bidimensional Structures: Algorithms and Combinatorics, October 2013. Seminar on Bidimensional Structures: Algorithms, Combinatorics, and Logic, Schloss Dagstuhl, Germany, March 2013. Seminar on Fixed-Parameter and Approximation Algorithms, Schloss Dagstuhl, Germany, December 2009. School on Algorithmic Graph Structure Theory, Berlin, Germany, October 2007. · Editor for SIAM Journal on Discrete Mathematics. · Editor for Encyclopedia of Algorithms. · Guest Editor for ACM Transactions on Parallel Computing (TOPC) special issue on selected papers from SPAA 2017. · Guest Editor for Algorithmica special issue on selected papers from ESA 2013. 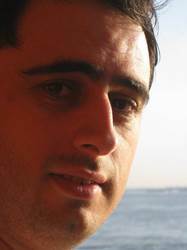 · Guest Editor for ACM Transactions on Algorithms (TALG) special issue on selected papers from SODA 2008. 1. Technical program committee, the 37th Annual IEEE International Conference on Computer Communications (INFOCOM), Honolulu, HI, April 2018. 2. Program committee, the 28th Annual ACM-SIAM Symposium on Discrete Mathematics (SODA), Barcelona, Spain, January 2017. 3. Chair, Program committee, the 29th Annual ACM Symposium on Parallelism in Algorithms and Architectures (SPAA), Washington, DC, July 2017. 4. Technical program committee, the 36th Annual IEEE International Conference on Computer Communications (INFOCOM), Istanbul, Turkey, April 2017. 5. Program committee, the 22nd Annual International Computing and Combinatorics Conference (COCOON), Ho Chi Minh City, Vietnam, August 2016. 6. Technical program committee, the 35th Annual IEEE International Conference on Computer Communications (INFOCOM), San Francisco, CA, April 2016. 7. Program committee, the 10th International Conference on Language and Automata Theory (LATA), Prague, Czech, March 2016. 8. Co-organizer: ACM Conference in Economics and Computation (EC) 2015 Tutorial on “Network Creation Games: How Does the Internet Form?”, Portland, OR, June 2015. 9. Program committee, the 27th Annual ACM Symposium on Parallelism in Algorithms and Architectures (SPAA), Portland, OR, June 2015. 10. Program committee, the 42nd International Colloquium on Automata, Languages and Programming (ICALP), Kyoto, Japan, July 2015. 11. Technical program committee, the 34th Annual IEEE International Conference on Computer Communications (INFOCOM), Hong Kong, April 2015. 12. Co-chair, International Conference on Topics in Theoretical Computer Science (TTCS), Tehran, August 2015. 13. Program committee, the 9th International Workshop on Algorithms and Computation (WALCOM), Bangladesh, Feb 2015. 14. Program committee, the 15th ACM Conference on Economics and Computation (ACM EC), Palo Alto, CA, June 2014. 15. Technical program committee, the 33rd Annual IEEE International Conference on Computer Communications (INFOCOM), Toronto, Canada, April 2014. 16. Co-organizer, FOCS 2013 Workshop on Bidimensional Structures: Algorithms and Combinatorics, October 2013. 17. Program committee, the 45th ACM Symposium on Theory of Computing (STOC), Palo Alto, CA, May 2013. 18. Program committee, the 21st European Symposium on Algorithms (ESA), Sophia Antipolis, France, September 2013. 19. Program committee, the 16th International Workshop on Approximation Algorithms for Combinatorial Optimization Problems (APPROX), Berkeley, CA, August 2013. 20. Technical program committee, the 32nd Annual IEEE International Conference on Computer Communications (INFOCOM), Turin, Italy, April 2013. 21. Program committee, the 2nd International Conference on Advances in Computing, Communications, and Informatics (ICACCI), Chennai, India, August 2013. 22. Program committee, the 8th Workshop on Internet & Network Economics (WINE), Liverpool, UK, December 2012. 23. Co-organizer, Seminar on Bidimensional Structures: Algorithms, Combinatorics, and Logic, Schloss Dagstuhl, Germany, March 2013. 24. Technical program committee, the 31th Annual IEEE International Conference on Computer Communications (INFOCOM), Orlando, FL, March 2012. 25. Co-organizer, Workshop on Approximation Techniques, Princeton University, June 2011. 26. Program committee, the 23st Annual ACM Symposium on Parallelism in Algorithms and Architectures (SPAA), San Jose, CA, 2011. 27. Program committee, the 16th Annual International Computing and Combinatorics Conference (COCOON), Nha Trang, Vietnam, July 2010. 28. Co-organizing Seminar on Fixed Parameter Algorithms and Approximation Algorithms, Schloss Dagstuhl, Germany, December 2009. 29. Organizing Network Design and Algorithms Session, INFORMS, San Diego, CA, October 2009. 30. Program committee, the 19th Annual ACM-SIAM Symposium on Discrete Mathematics (SODA), San Francisco, CA, January 2008. 31. Program committee, International Workshop on Parameterized and Exact Computation (IWPEC), Victoria, Canada, May 2008. 32. Organizing Network Design Session, INFORMS, Washington, DC, October 2008. 33. Program committee, International Conference on Wireless Algorithms (WASA), Dallas, TX, October 2008. 34. Organizing Optimization in Wireless Network Session, INFORMS, Pittsburgh, November 2006. 35. Program Committee, the 2nd ACIS International Workshop on Self-Assembling Wireless Networks (SAWN), Las Vegas, Nevada, June 2006. 36. Program Committee, the 11th International CSI Computer Conference (CSICC), Tehran, January 2006. Publications (slightly outdated); See my DBLP page for an up-to-date one.